Choose the right size of support stockings! For the fit of support socks to be perfect, there are three measures to be taken from. where it is the widest. The shoe size is just a fingernail to which support stockings you should use. The most important measurements are Ankle and Calf. 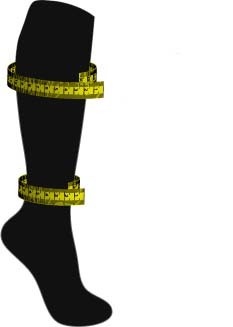 The measurements should be taken immediately in the morning before the legs / feet swell.